BEWARE! –Electronics are being stolen more frequently than ever. BoatUS says be aware of crime rings this summer and offers some prevention tips. BoatUS offers seven tips to slow down thieves. Boat Owners Association of The United States (BoatUS) said today crime rings responsible for stealing boats, Yamaha outboard engines, Garmin electronics, and other expensive navigation units along the East Coast’s I-95 corridor have moved across the country. Largely striking boat dealerships and boat-storage facilities, the thieves are getting the attention of a new intelligence working group made up of local, state and federal law enforcement officials as well as certified marine investigators who urge recreational boaters to be vigilant. One Virginia marina recently reported six 600-pound engines stolen, with dealerships in upstate New York and Texas hit in similar fashion, according to a June 2 report in Soundings Trade Only Today. Take a look at your boat storage area. Is it lit at night? Does it have motion-operated lighting or audible alarms? How difficult is it to gain entry? Is there one or multiple ways to enter? Does it have an effective, fully operating video-surveillance system? Does the storage facility have signage advising that license plates are being recorded and property is under 24-hour surveillance? Slow a thief down. Are helm electronics locked behind a solid instrument cover? 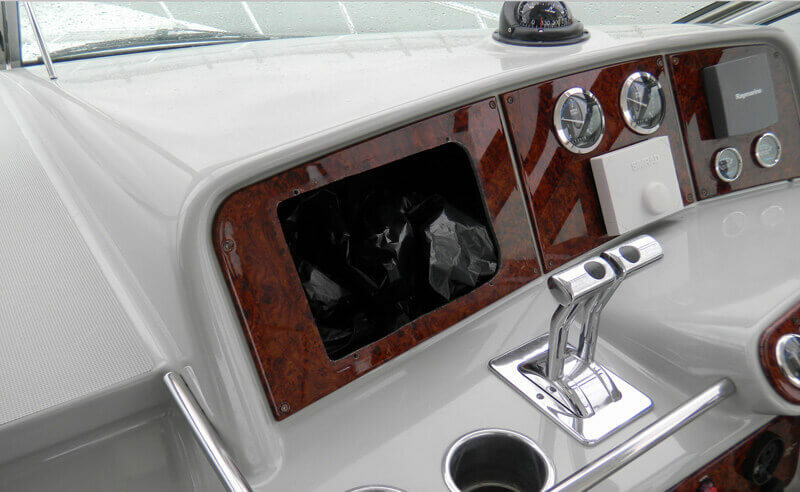 Use tamper-resistant fasteners for mounting electronics and outboard locking devices. Using a special nut with an engine-mounting bolt that requires a special key can help. Make stealing expensive electronics less appealing by engraving and posting a warning (this goes for the outboard, too). Create and keep at home an engine and electronics inventory list that includes manufacturer and serial number, and take plenty of pictures – including the boat. Be wary of suspicious questions. In most of the boat dealership theft cases, a suspect posed as a boat shopper on the day before the theft occurred. For boat owners, loose lips sink ships. Boaters should remain cautious to questions from strangers wanting to know more about access. Get to know your dockside neighbors so you can more readily recognize suspicious activity and people who don’t belong. Consider adding a boat tracking device that can sound an early alarm if something’s amiss. Yamaha outboard engine owners may want to investigate Yamaha Customer Outboard Protection, or Y-COP. Y-COP is available with the manufacturer’s Command Link (CL) and Command Link Plus (CLP) systems.